Elizabeth Benson (born 1966) is a famous Nollywood actress, television personality and philanthropist. She began acting when she was just 5 years old. She became popular when she featured in Fortunes, a television soap opera in 1993. Benson played the part of Mrs. Agnes Johnson in the soap, which ran for about two years on the Nigerian Television Authority network. In 1994, her role in Glamour Girls, a very successful home video film that focused on the theme of prostitution, literally changed her fortune after Fortunes. The movie shot her into prominence and gradually she warmed her way into the minds of millions of Nigerian movie fans. Surprisingly, just when her rating as a leading actress had begun to rise even higher than expected, Benson suddenly quit acting in 1996. She became a born-again Christian and started preaching the gospel. The Efik-born actress, took another shot at marriage after her conversion. In a quiet court ceremony in Abuja, She got married to Bishop Great Emeya in 2009 at the Rainbow Christian Assembly in Warri, Delta State. The couple are deeply involved in a Christian Evangelical Ministry. While Benson is an evangelist, her husband, Emeya, is a pastor in Warri, Delta State. Benson lost her first husband (Samuel Gabriel Etim) while around her mid-twenties. She said that she actually gained strength from his character and that made her able to carry on with her children through the loss. She started acting when she was five years old. She is loved by most movie watchers in Nigeria and is seen as one of the first ladies of Nollywood. 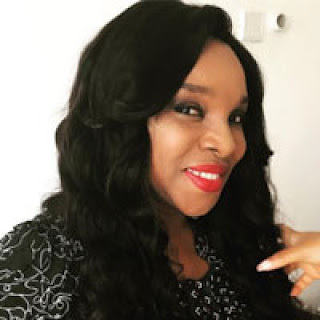 Some of her more popular roles include her role as Titubi in Femi Osofisan's Morountodun and as Mrs. Agnes Johnson in Fortunes, a soap opera that ran for about two years on Nigerian Television Authority (NTA) Channel 10. She acted in a number of Nollywood video-films such as Evil Men 1 and 2, Shame, Conspiracy, Izaga, Burden, Stolen Child, Faces, Dead End, Tycoon, Glamour Girls, Body of Vengeance and a horde of other movies. Benson is an evangelist and lives in Delta State with her husband. Together they run a ministry, Freedom Family Assembly.